I was going through my photo files looking for pictures I may not have shared with you before and a theme started to emerge...texture. 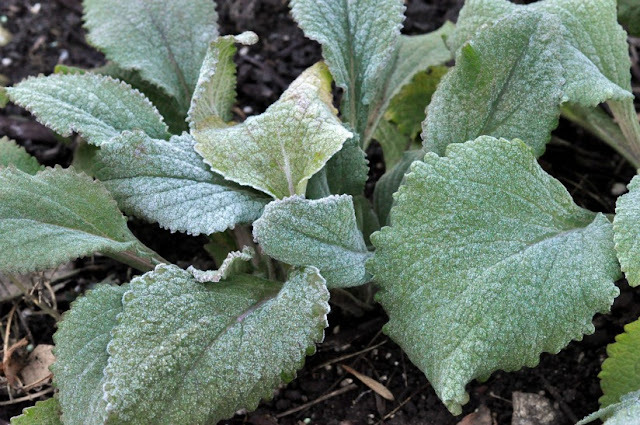 Specifically, texture in the garden. I am a die hard cottage garden lover and traditionally that means masses of colorful flowers over filling their borders. A garden where the blooms definitely take center stage. 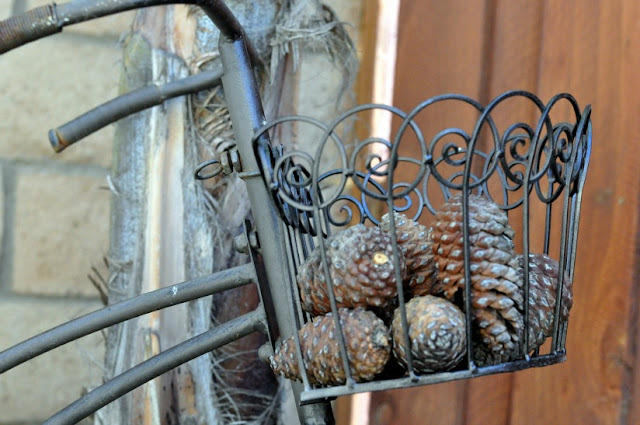 old metal railroad buckets showcasing a few spent blooms and rusty bike planters filled with gathered pine cones. Sometimes the lack of expected beauty makes us look beyond our normal thinking and seek it elsewhere...in the texture. 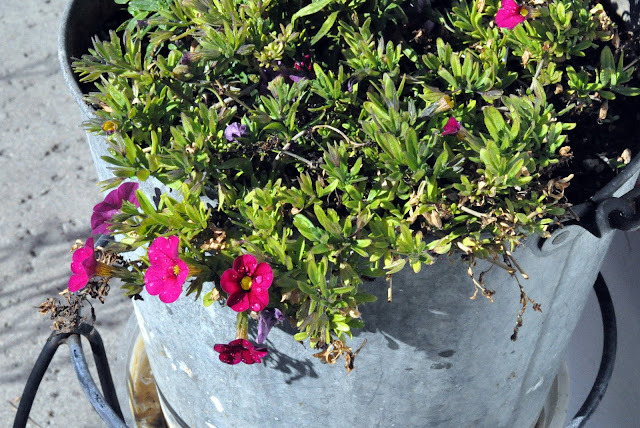 The flowers will not always be blooming so we had better find a way to find beauty in a bucket full of rusty rakes or we will definitely miss out the hidden beauty of texture...in the garden or our lives. Ha, that's for sure! 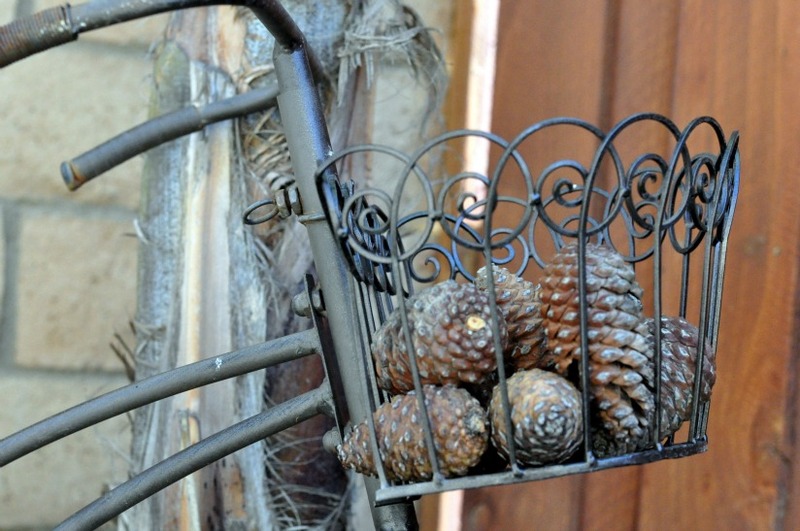 Lovely basket of pine cones for this time of year. I so want to be cleaning up my garden from the last 3 weeks of cold. Yesterday I got out and did a little weeding. This morning we are walking to a newly refurbished city garden and I hope to get totally inspired to get home and work. I love your little touches in the garden. Happy Monday to you as well!!! 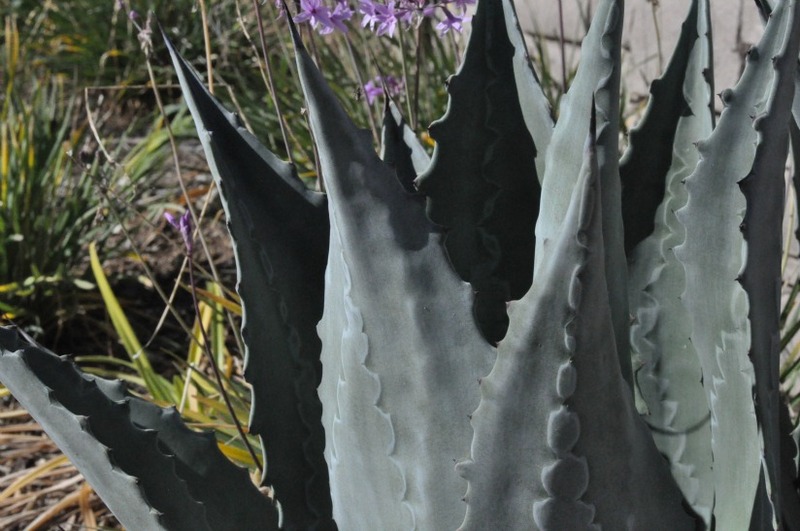 Love the texture in your garden photos!!! I have a raised herb box and the rosemary winters over well here on the Prairie!!! Love photos of the Rosemary during and after a SNOW storm!!! Have a Blessed, Beautiful week, dear friend!!! 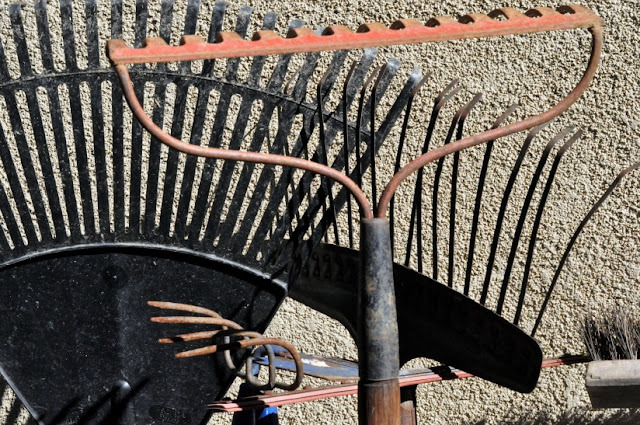 Love the rakes. I have worked in the yard for three days now. Love it!! Oh how nice to have flowers in the winter. Makes me want to move to California!! Great pictures! It will be a while before I'm able to get out in the yard. Today we woke to -13 degree windchill! Lucky you! I never thought about texture in my garden... Now I need to start looking in my garden for ways to add some more. Enjoy!